If it gets better than this I don’t know. 20XX from Batterystaple Games is EXACTLY what I’ve been wanting out of Capcom for YEARS. While it may not have the story elements that the Mega Man and Mega Man X series eventually came to have, 20XX has everything that is needed and so much more for one of the best damned platformers that I’ve played in a while. Essentially giving me X in the form of Nina and Zero in the form of Ace, there’s more procedurally generated levels than I can shake a stick at in the almost Roguelike experience that they’ve created. This is going to sound like gushing but damn. 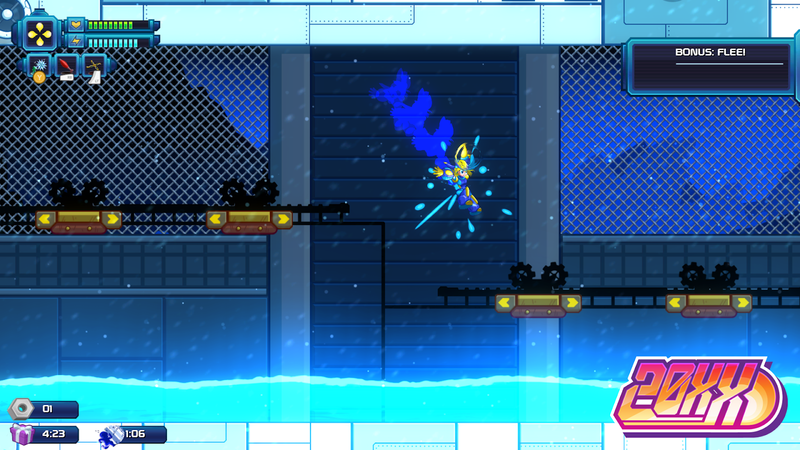 Just about everything about 20XX is damned near perfect. Having been playing Mega Man since the age of four? Five? I’ve been invested for a long, long time and having seen the 25th Anniversary come and go and nothing? 20XX has filled that void and then some making the upcoming Mega Man 11 going to have to really bring its A-Game because it has large shoes to fill after this. Essentially making a homage to Mega Man 2 in the opening video and then to Mega Man X 4-5-8 with the option of ranged (Nina in blue) and melee (Ace in red) you can set out to either play the main 20XX mode in order to unlock permanent and temporary upgrades or tackle a variety of daily or weekly challenges. 20XX isn’t just designed as a homage with a few bosses thrown in with a bunch of powers that you can use to defeat whichever other boss correlates to that power. Instead, what you have is a variety of unique bosses that you tackle in almost a random assorted way one after another until either they are all defeated or you are. If you bite the dust? Back to base. There are a ton of upgrades that can be bought, currency to help you buy upgrades on a current run or to restore your health. Current run you ask? Yes. 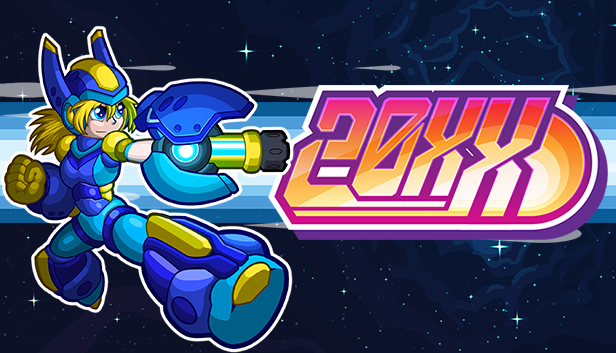 20XX is built for both speedrunners and normal players alike rewarding the bold and taking out the unworthy! As long as you are in the 20XX mode, chips can be amassed in order to buy several things back at base. The first, and to me the most important, are the permanent mods. These can increase your base attack or ability damage, your health and energy bars or grant you bonuses on certain stages in the form of chests that can be broken for money and restorative items. The second are boosts to your next run, the same style of upgrades apply but they aren’t permanent. The last of the options are to unlock new items to show up in your subsequent runs. Some of them are better than what are already available while others may be less than stellar but hey, any boots that make you go faster is a good thing! Because everything is designed in runs, only what you take with you from the base will carry over as long as it was a permanent purchase. 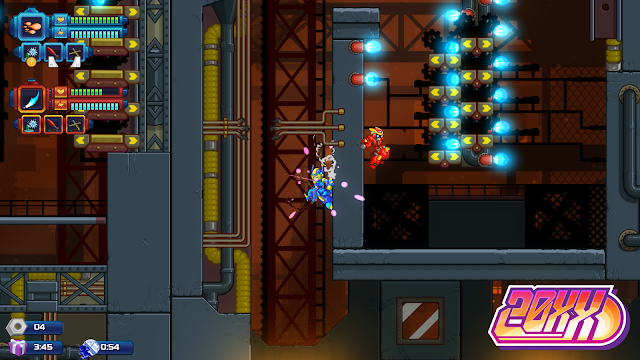 While out in the levels you’ll be finding plenty of upgrades to your health, your energy, your weapons and your armor. Sometimes these will come out of chests or boxes lying around while other times you’ll have to purchase them from the random shops that pop up here and there and they are always worth checking out at least once per level as the stock doesn’t change until the level does. Even the armors and buster upgrades are easy come, easy go. These will only be with you for the current run and afterwards you can say goodbye to them. Having different sets however with plenty of combinations to try, you’ll also want to find the upgrade that lets you use bonuses from random armor pieces instead of a fully equipped set. 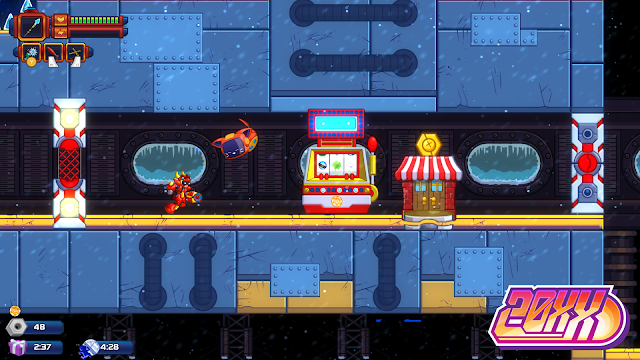 As for the gameplay itself, 20XX plays a lot like Mega Man X. 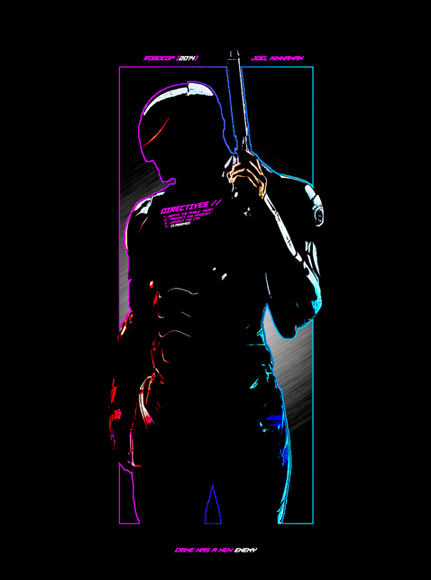 Both Nina and Ace can run, dash and wall jump across the various terrains while shooting their enemies out of the way. It’s honestly perfect and whether you’ve played MMX 1-2-3-4-5-6-8 or just one of them, it’ll feel at home. Yes I leave out the Black Sheep and my personal favorite of MMX7 because it went 3D and wasn’t exactly the most well received. I had more issues with 8 since they screwed up Zero’s hair which was a dinky ponytail instead of an epic golden mane. The greatest thing about it all though is that while being familiar in a gameplay style, you can’t simply sit on your hands and do it blindfolded with your toes. I wouldn’t be surprised if some record breaker has tried it, and no, I’m not looking it up online either. 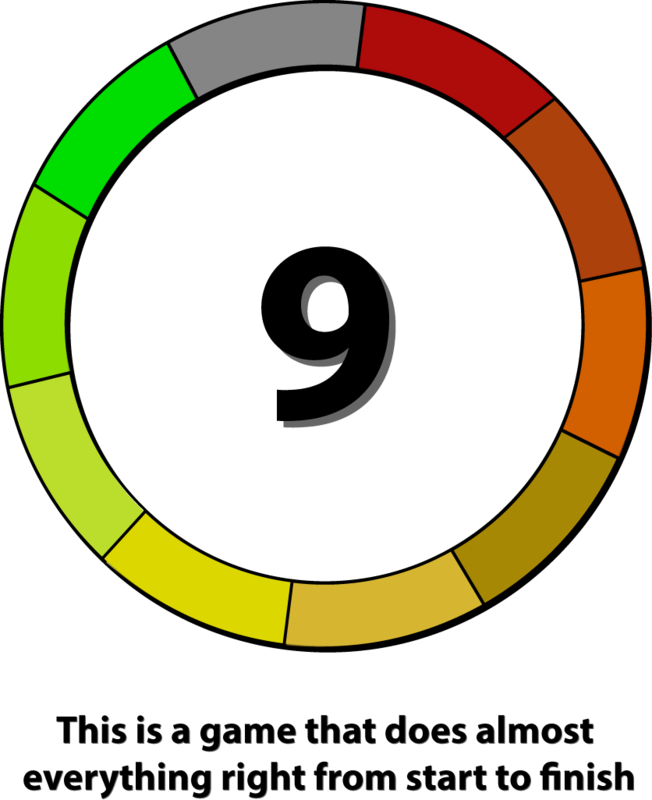 The reason for this is that the levels are in a constant shift. What was there at one point may not be there the next. The designs shift keeping things interesting. What’s more, is that because 20XX is designed in runs, each stage becomes harder than the previous with your enemies having more armor and more power. It keeps you on your toes and its brilliant! The final greatness comes into choice. You can either go into the main mode or you can go into the challenges. You can play either in single player or in coop with a friend putting both Nina and Ace out onto the field. Finally, you can choose to pick up a boss power, money, or a random bonus after their defeat, or walk away from it all. Looking at the list of trophies for the PSN, there are a lot of different styled runs out there in increasing difficulty for Bronze, Silver and Gold trophies. Regardless, it’s up to you as to how you want to approach it. Sometimes the money is the best choice because you need to buy health from a machine in the next stage assuming there is one. It is random afterall. Fans of Mega Man X, 20XX is for you. 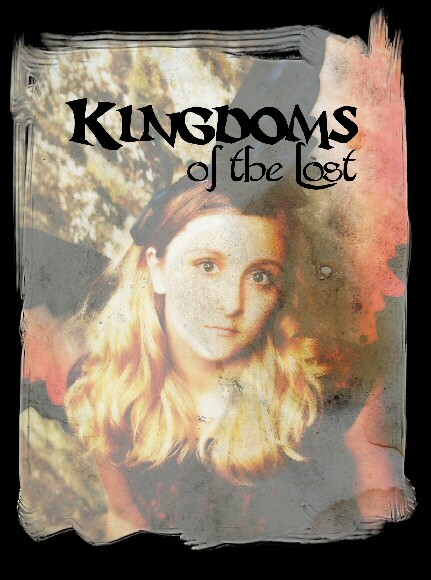 It’s everything that you’ve probably wanted since the last release fourteen years ago back in 2004. It’s fun, it’s well built and even more, it’s designed for even those that only have time for a stage or two before having to run out the door with a quick save option. The only downside? There’s no real story. That’s it. 20XX is all the classic gameplay with modern accuracy and responsiveness that you need for both your platforming needs and the void that Capcom have left since the last release of the Mega Man X series.